HOUSTON -- The first time Houston faced Blue Jays starter Todd Redmond this season he struck out 10 Astros and allowed just one run in six innings. Given another chance at Redmond on Friday night, things were much different. Rookie Robbie Grossman homered and drove in a career-high four runs and Matt Dominguez had a solo shot and the Astros used a big fourth inning and cruised to a 12-4 win over Toronto. Dominguez homered in the second inning to make it 2-1 and Grossman added a two-run shot in the seventh to push the lead to 12-2. Redmond (1-2) allowed eight hits and seven runs -- both career highs -- in 3 1/3 innings, which was the shortest start of his career. "After we see a guy one time and whether they had success against us or not, (the hitting coaches) do a great job of preparing these guys the next time we're able to see that particular pitcher," Houston manager Bo Porter said. "Today is another prime example of guys just managing the at-bats well, really being patient getting something that they can handle, something they can drive, and that's why you saw all the extra-base hits." Toronto manager John Gibbons was disappointed by Redmond's struggles. "He's been pitching very good," Gibbons said. "Just tonight, he didn't have it. You could see those replays on the board after he gave up those hits, and the ball is just leaking back over the zone. Like I said, he has been very good, so that is kind of unusual for him." Jordan Lyles (6-6) allowed 10 hits and four runs in 7 1/3 innings for the win. Houston got contributions throughout its lineup with nine players collecting hits and six driving in runs. The Astros tied a franchise record with three triples, which were part of their seven extra-base hits. "That was some pretty productive at-bats by pretty much all the guys," Porter said. "We made the starter really work and got his pitch count up and when he came in the zone put really good swings on him." J.P. Arencibia, Edwin Encarnacion and Brett Lawrie all homered for the Blue Jays, who have lost six straight and eight of their past 11 games. Grossman, who has a career-long 10-game hitting streak, hit a sacrifice fly in the fourth inning and added an RBI single in the fifth. "I just think it's about confidence and I'm just enjoying myself and playing hard," he said. Rajai Davis singled with one out in the first inning. He was then caught stealing, snapping a streak of 19 straight stolen base attempts without being thrown out. It proved to be a costly out when Encarnacion homered to the seats in right field to make it 1-0. L.J. Hoes drew a one-out walk in the first. The Astros tied it at 1 with Jose Altuve's RBI double off the wall in left-center field. Dominguez started Houston's second with a home run to the Crawford Boxes in left field to make it 2-1. Hoes singled to start Houston's third. The Astros went up 3-1 when Altuve singled before an error by Redmond when he badly overthrew first base scored Hoes. Altuve was easily out at third on the play on a baserunning blunder when he had no chance to beat the throw. Arencibia got the Blue Jays within 3-2 when he homered for the second straight game with one out in the fourth inning. His 20 home runs are the most for a catcher in the majors. Brandon Barnes started Houston's scoring in the fifth with an RBI single. Villar followed with his second triple of the game, which landed in the corner of right field, to send two more home and push the lead to 6-2. The Astros added another run on the sacrifice fly by Grossman before Hoes drew a walk to chase Redmond. Brad Lincoln retired Altuve before Castro's RBI triple made it 8-2. That hit sailed out of reach of diving center fielder Anthony Gose and rolled up Tal's Hill in straightaway center. Lincoln was optioned to Triple-A Buffalo after the game. Houston second baseman Marwin Gonzalez made a nifty play for the first out in the ninth when he grabbed a grounder hit by Gose just beyond the infield grass and spun around to make the throw to Brett Wallace and just beat him to first base. Chien-Ming Wang will be recalled from Buffalo to start on Saturday for the Blue Jays against Brad Peacock. Gibbons said it will be a one-start stint for Wang. ... Toronto's Ryan Goins got his first major league hit with a single in the seventh inning. ... The Blue Jays placed LHP Aaron Loup on the paternity list on Friday. Loup leads Toronto's bullpen with 62 innings pitched this year and has a 2.42 ERA. 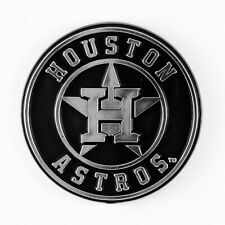 ... Houston placed C Max Stassi on the seven-day concussion disabled list and selected the contract of catcher Cody Clark from Double-A Corpus Christi to take his spot on the roster. It is the 31-year-old Clark's first stint in the majors after 11 minor league seasons. He pinch-hit in the eighth inning and struck out, but remained in the game to catch in the ninth.